In Palau, the Ocean provides life for all of us, and will remain to do so into our future. Our people have lived according to the terms of the Ocean, as it was the very thing that sustained and continues to sustain our existence. For generation upon generation, Palau’s Traditional Leaders have preserved our marine resources by placing vulnerable reef areas off limits to fishing. This traditional conservation method, known as a “bul,” has preserved the livelihoods and strengthened food security of the Palauan people for generations. Today, Palau is faced with new unprecedented challenges – from climate change and ocean acidification to increasing pollution and illegal fishing. Palau is now reaching to the past to the caring wisdom of our ancestors and implementing the age old conservation method “bul’ in these modern times. This traditional practice is Palau’s foundational step towards effective conservation and sustainable management of its marine environment through the establishment of the Palau National Marine Sanctuary. On October 28, 2015, President Tommy E. Remengesau, Jr. signed into law the Palau National Marine Sanctuary Act, one of the world’s most ambitious ocean conservation initiatives to date aimed at not only protecting Palau’s marine resources, but also at protecting the world’s tuna stocks. 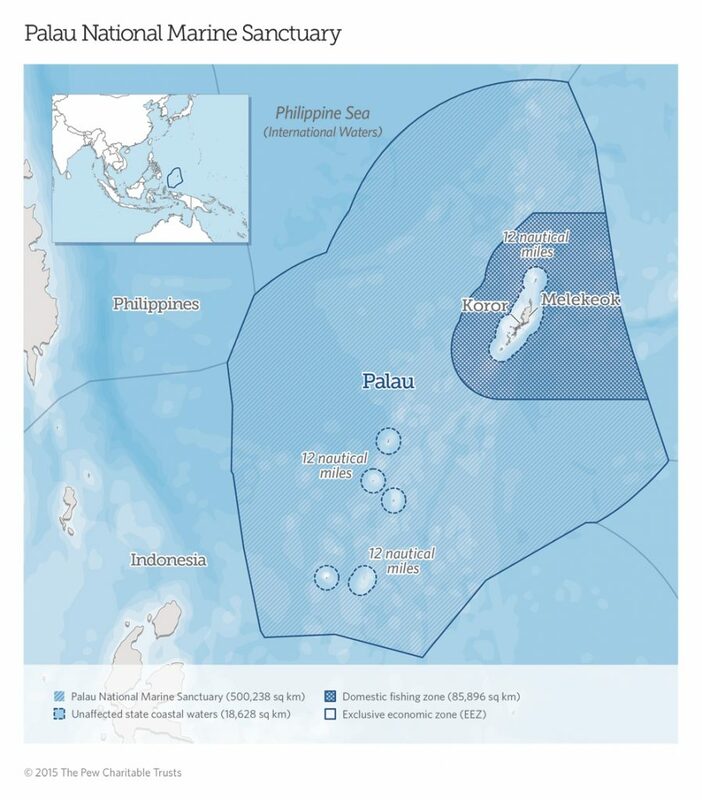 This landmark legislation creates a no-take Marine Sanctuary (approximately 500,000 square kilometers) covering 80% of Palau’s Exclusive Economic Zone (EEZ), in which no fishing will occur, and creates a Domestic Fishing Zone covering approximately 20% of Palau’s EEZ in which traditional and domestic fishing activities will be allowed to provide fish solely for the domestic market. Stewardship of the ocean and working within the limits of the environment has always been the way of the Palauan people. Balancing growth and sustainability remains in the best interests of this nation and its people. Palau’s economy is the environment and the environment is its economy and the Palau National Marine Sanctuary is the foundation that supports the sustainability and balance between our natural resources and economic development, ensuring that all of what makes Palau the Pristine Paradise it is today, will last for generations to come.